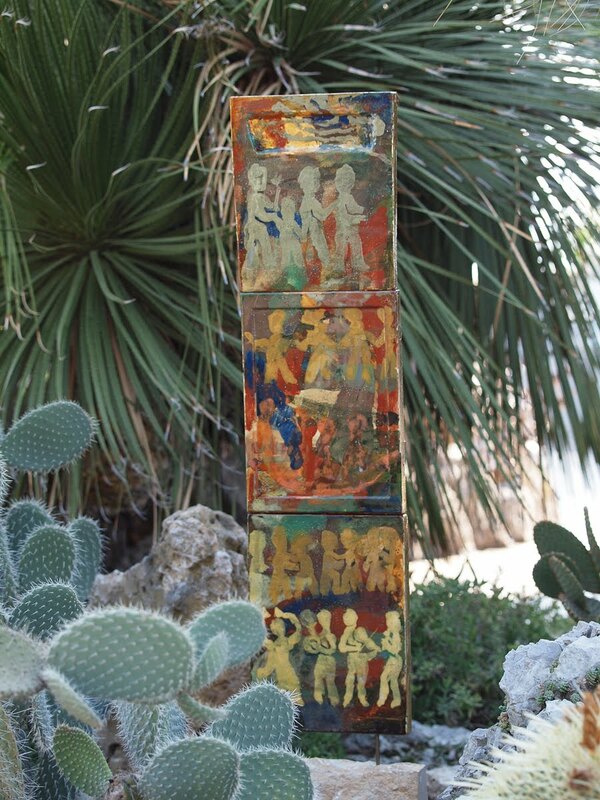 This work shows how beautifully art can be displayed amongst plants and in this case spikey cacti and succulents. Once again, I don't know the artist - some of the work was displayed without this information. 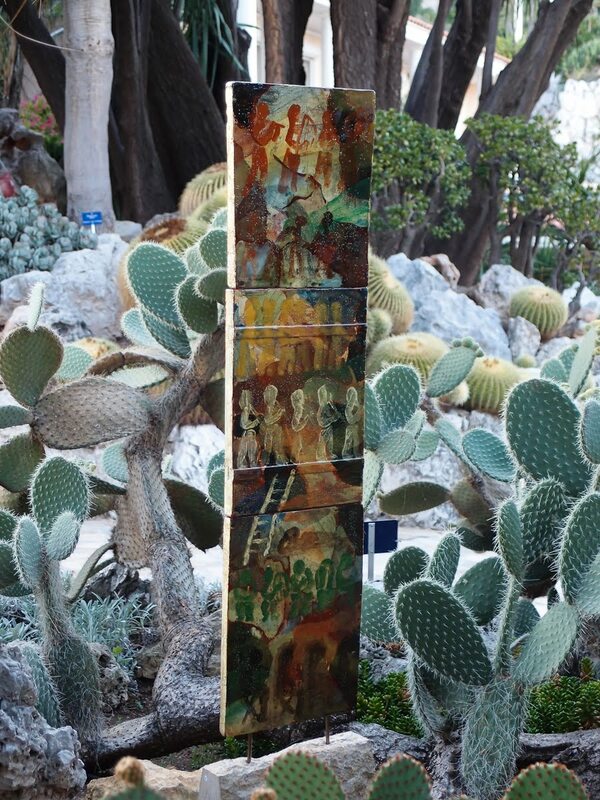 you would have to be careful not to bump into the cactus while looking at the art.